Raised in the land of espresso bars and local roasters, Larry grew up with love for coffee and an appreciation for the nuances that make one cup more interesting than another. He headed to the Southeast to attend graduate school in economics, but soon got sidetracked by his obsession with coffee, working as a roaster in Raleigh’s first coffee house and then starting his own coffee house and roastery. But his love of roasting soon led him to focus full time on the roasting business. From the start, he was all about taking time with his roasts and treating blends like his own drinkable art form. 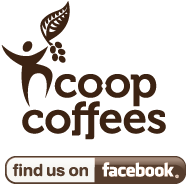 “It’s not just about good coffee. It’s about unique coffee. 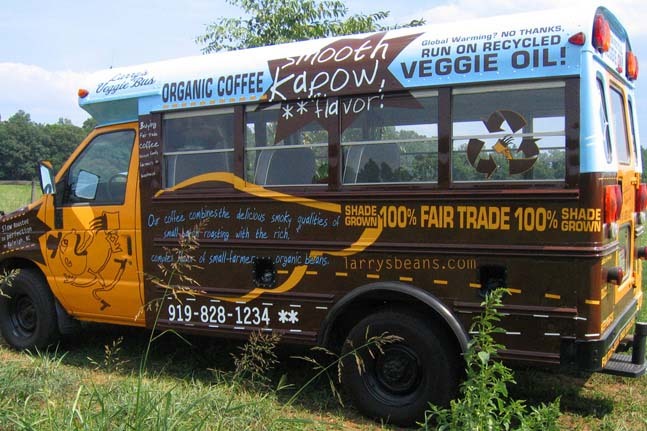 And about using coffee as the tool for positive change in the world.” says founder Larry Larson. 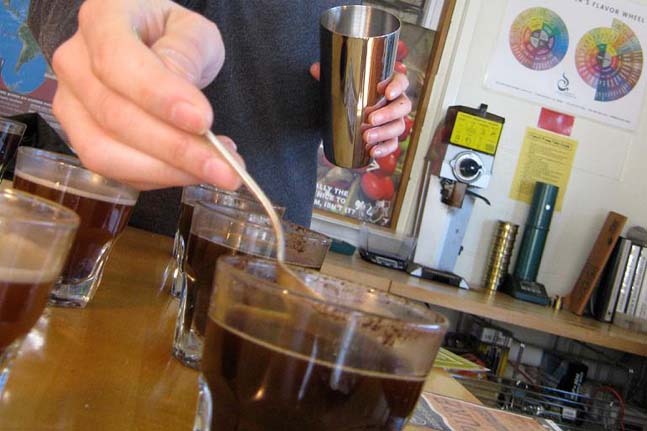 Fair Trade began simply as a way to find coffee from smaller farms in remote growing areas. As Larry puts it, it was “a way to find more wildly unique coffees for my blends.” With this in mind, he took part in a delegation to visit the Fair Trade farmers in Chiapas, Mexico, where the quiet courage and deep dignity of the farmers made a life-changing impression on Larry (in Chiapas, farmers must deal not only with a lack of government services, but the frequently hostile presence of army forces). He came away with the realization that Fair Trade “was more than a way to get amazing coffee, it was about creating a new business model, where everyone gets what they want and no one is exploited along the way.” So he led Larry’s Beans to become a founding member of Cooperative Coffees, the first and still the only U.S. cooperative of independent roasters exploring Fair Trade beans directly from farmers. 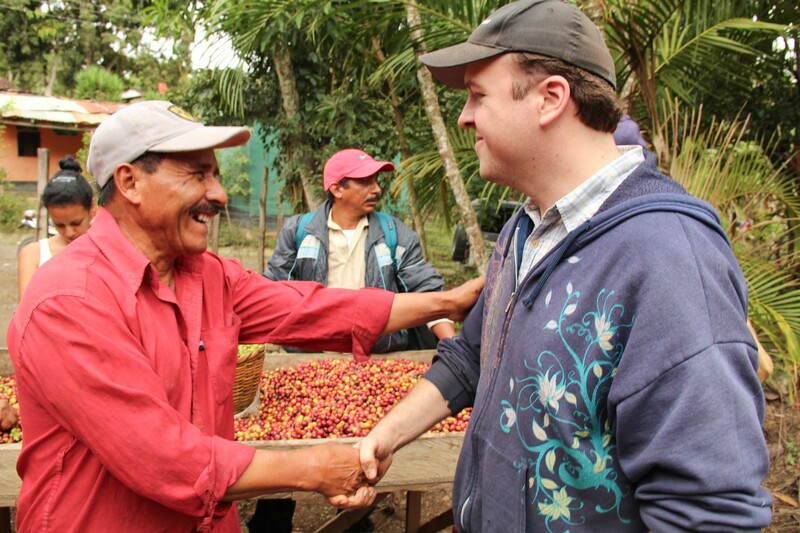 Fair Trade has been the springboard for ALL our sustainability initiatives at the beanplant. Once we realized the powerful impact Fair Trade could have on our farm partners, we thought, What else can we do? “Once you start doing stuff to make the world better, it becomes addicting,” says Larry. “As I learned more about sustainability and climate change, I realized how much building use and energy can make a difference, so we started meeting with engineers and designers about how to lighten our footprint. Step one was cutting open the length of our roasting plant’s roof and installing a massive passive solar clearstory to let sun shine in. Next, we put in super-efficient spray foam insulation and zone heating (to focus just on work areas). Then, we took our administrative offices and installed solar water heating panels and put in a radiant heat floor.” To save water, Larry installed dual flush toilets and two gargantuan rain water harvesting tanks, which are used to provide water for the bathrooms. Improvements to keep Larry’s footprint light are continuous, and we credit all these improvements to Larry’s initial passion for Fair Trade.